Join us in October for Domestic Violence Awareness Month. 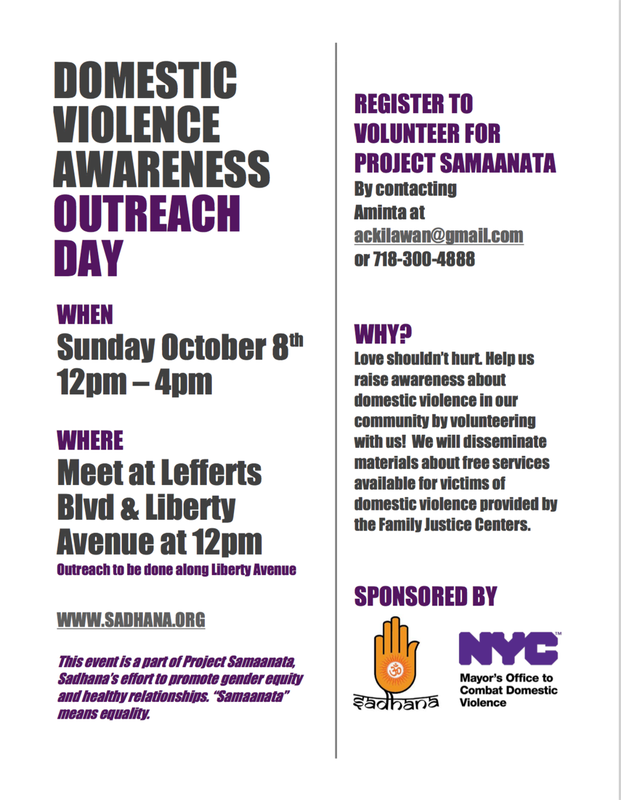 Help us to raise awareness about domestic violence in the heart of Little Guyana by volunteering with us! We will disemminate materials about free services available for victims of domestic violence provided by NYC's Family Justice Centers in collaboration with the Mayor's Office to Combat Domestic Violence. If you are interested in volunteering contact Aminta Kilawan Narine!